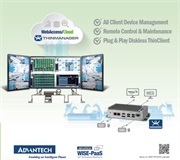 Taipei, November 13 2018 - Advantech, one of the world’s leading providers of industrial computers and IoT sensing technology, proudly announces the latest update to its WISE-4400 product family of wireless sensor nodes: the WISE-4471. 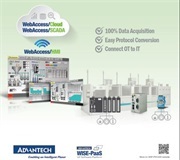 Taking advantage of Narrow Band IoT (NB-IoT) and eMTC cellular networks, with MQTT and CoAP for cloud integration, the WISE-4471 series offers device-to-cloud service with longer range, better signal coverage, improved data transmission, and rapid deployment for optimal performance and ease of use at reduced cost, even in high-density environments. 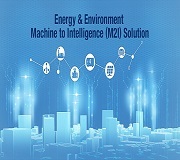 With its provision of compact, easy-to-integrate wireless sensor nodes for smart city, water and electricity meter, pump station, and distributed equipment management applications, Advantech is accelerating IoT development and implementation. The WISE-4471 wireless sensor node utilizes NB-IoT for significantly improved device performance. NB-IoT is an international standard defined by the 3rd Generation Partnership Project (3GPP).It’s a new wireless communication technology offering lower power consumption in wide area networks and improved remote transmission. By NB-IoT, the WISE-4471 series can ensure cost-savings while expanding the data transmission range and coverage for wider coverage and stable reception in any environment. The WISE-4471 wireless sensor node supports the MQTT, CoAP, LWM2M, and RESTful open communication protocols. Users can transmit data to specific public cloud services or existing private cloud platforms. Following the approach of Cat. NB1 and Cat. M1, the WISE-4471 provides secure encrypted data transmission. The WISE-4471 series supports iSensing MQTT, allowing use of either a public or private broker for publishing data on a cloud platform. The WISE-4471 series is built with the recognition that telecom operators utilize a range of data formats when providing cloud services. 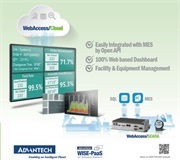 Advantech works with its global telecom partners to streamline the cloud integration process; allowing system integrator the flexibility to adopt cloud services already on offer from local operators. WISE-4471 series wireless sensor nodes are suitable for data collection from widely distributed stations. Using a SIM card for NB-IoT/eMTC configuration, no complicated programming, setup, or registration is required; allowing for rapid IoT application deployment across water and electricity meters, smart cities, and remote management facilities among other areas. 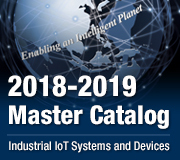 As a leading provider of IoT solutions, Advantech continues to develop a wide range of wireless sensing devices, across a variety of fields, in order to offer customers the most appropriate technology to master their IoT applications.